BackHome Stories Stories Categories Saigon One of Saigon's Oldest Supermarkets Closes This Month. Saigoneers Are Heartbroken. One of Saigon's Oldest Supermarkets Closes This Month. Saigoneers Are Heartbroken. 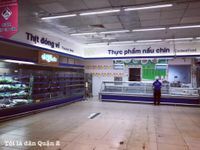 After news broke that supermarket chain Co.opmart will shut down its Dinh Tien Hoang outlet, Saigon’s cybersphere witnessed an outpouring of grief and nostalgia over the impending closure. 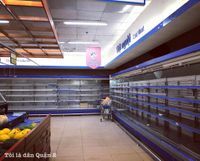 A Saigon Co.op representative, Co.opmart’s management body, confirmed with Zing that the supermarket will officially close its doors on October 20, 2018, almost two decades after launching. The company elaborated that this has been in its 2018 operational plans. The building at 127 Dinh Tien Hoang, Binh Thanh District will host a different business, the identity of which wasn’t disclosed by Saigon Co.op. The current staff of Co.opmart Dinh Tien Hoang will move to nearby outlets such as Pham Van Dong and Kha Van Can. It’s hard to imagine feeling a strong sense of attachment to a chain supermarket, especially in this day and age when convenience stores are a dime a dozen and supermarket chains occupy every mall. However, for long-term residents in District 1, 2, 9 and Binh Thanh who have frequented the place for years, with its closure also goes their childhood memories. Established in 1989, Co.opmart was Saigon’s first supermarket chain after Doi Moi. 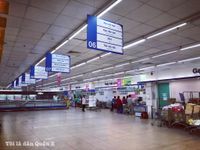 The first-ever supermarket in Saigon and Vietnam was the Nguyen Du Supermarket, which opened its doors to shoppers in 1967 and operated until 1975. Nonetheless, when Saigon Co.op established its first outlet on Cong Quynh Street in 1996, it was a big deal to Saigoneers: clean aisles, fresh produce, bright display and even escalators. Co.opmart Dinh Tien Hoang launched on January 26, 2000, the chain’s 4th venue and the most spacious to date at 4,300 square meters. In the late 1990s and 2000s, a woeful lack of casual hangout places meant that many families found the air-conditioned food courts of Co.opmart a heaven for weekend trips. 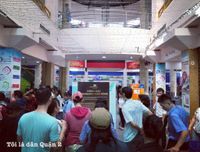 This void has gradually been filled by the introduction of cinemas, ice cream parlors, coffee shops and department stores in recent years, but at the time, venues like Co.opmart Dinh Tien Hoang were the choice destinations for families to unwind. "My mom said that this Co.opmart started when they got married (2000). At the time, our family wasn't wealthy so we only bought a few things every visit," Phuong Nam, a Facebook user who lives in the neighborhood, reminisces. "My dad, whose name is on our membership card, eventually became a VIP member, but he passed away last year. Perhaps, I'll have to say goodbye to yet another fragment of my childhood." 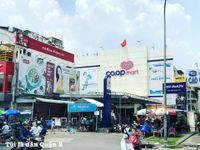 Now, 18 years later, Co.opmart Dinh Tien Hoang is no longer the largest, cleanest or most modern outlet of the chain; but, it remains the most profitable, welcoming some 80,000 shoppers a day who spend a total of VND2 billion. 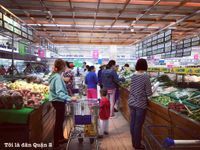 At the time of writing, most of the space has already been vacated, though the supermarket still maintains its fresh produce section and customer service department so that patrons can transfer their membership to other outlets.